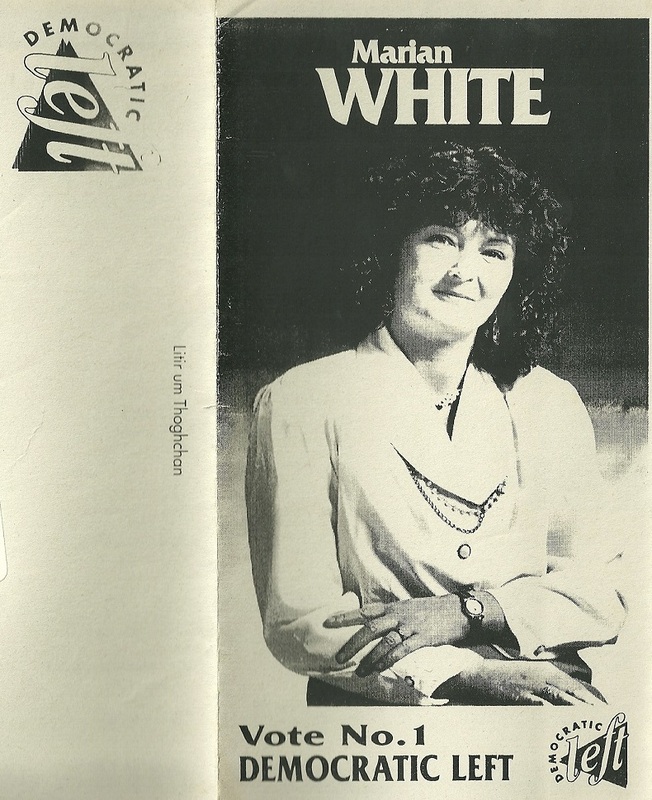 From the 1992 General Election a leaflet from Marian White who was running for Democratic Left in Dublin South. She polled 640 votes and missed out on a seat. 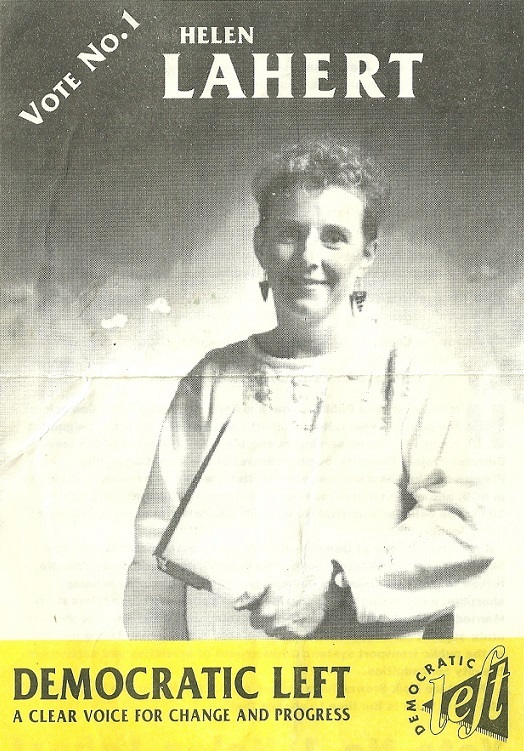 From the 1992 General Election a leaflet from Helen Lahert of the Democratic Left who was running in Dublin North Central. She polled 1376 votes and missed out on a seat. The site is Four years old today…. have had 750,230 page views…..
have an exhibition planned for early next year….. 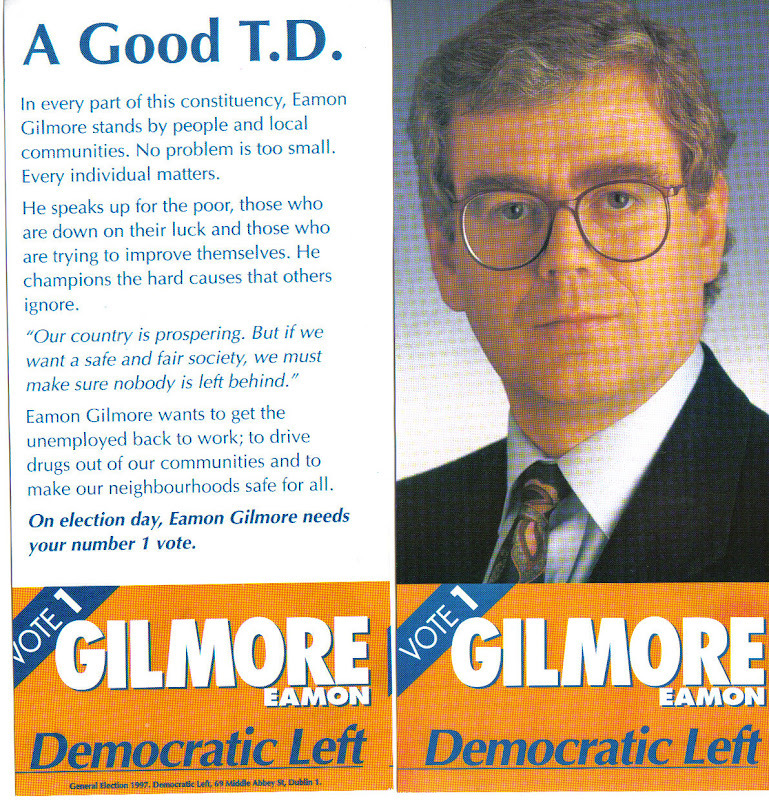 The first thing I posted…..
An Eamon Gilmore Flyer from the 1997 General Election when he was running for the Democratic Left in Dun Laoghaire. From December 1998 “In Touch” issue 2 a Labour members Newsletter published after the agreement of “The historic merger of Labour and Democratic Left”. Members and branches are urged to contact Democratic Left in their areas to help start the merger process which was to officially happen on February 1st 1999. It also provides a list of Democratic Left elected representatives. 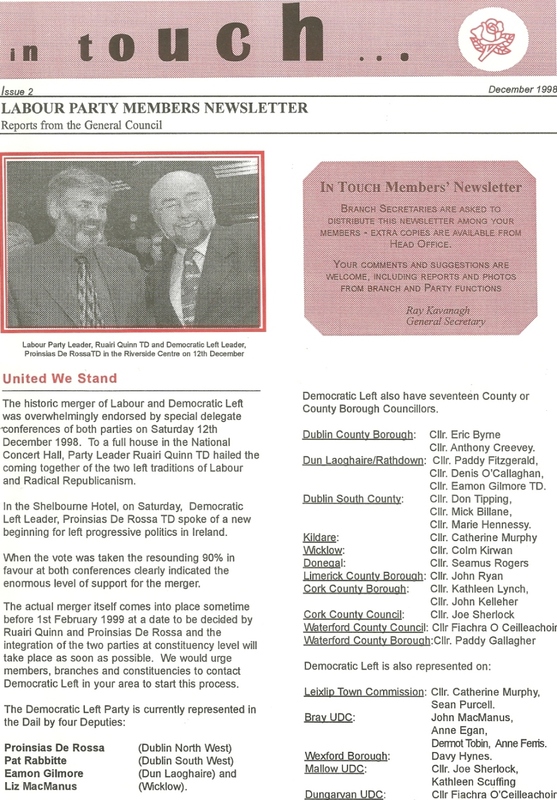 There is also a section on Labour local election candidates for the 1999 Local Elections, details of the Party Leaders (Then Ruairi Quinn) Constituency tour and other items also. From the 1997 General Election a leaflet from Liz McManus who was running for the Democratic Left in Wicklow. Having previously been a Workers Party Councillor, she was first elected to the Dail in 1992 when running for The Democratic Left. In this 1997 Election she polled 5,226 votes and was elected on the 9th count. The leaflet shows the achievements of the Rainbow Coalition, note the Partnership Works Slogan and request to transfer to our government partners at the bottom of the leaflet. 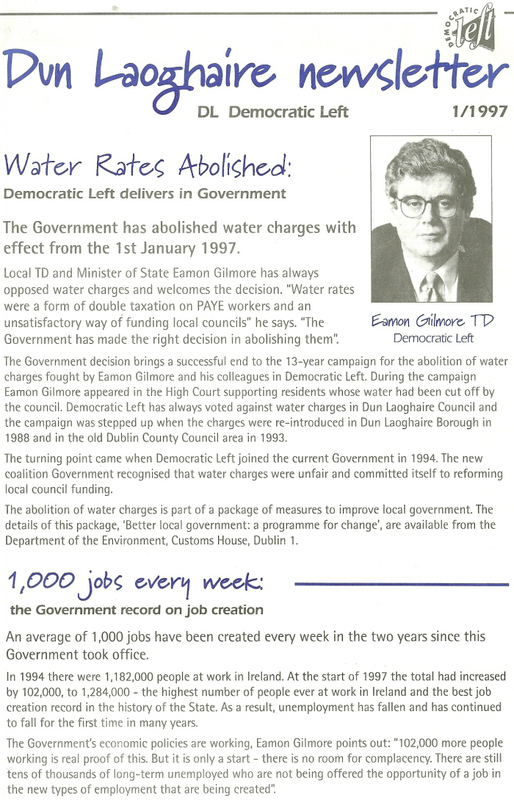 From the 1997 General Election “Dun Laoghaire Newsletter” from then Minister of State for the Marine and Democratic Left TD Eamon Gilmore running in Dun Laoghaire. The leaflet boasts of Water Rates being abolished. “Water rates were a form of double taxation on PAYE workers and an unsatisfactory way of funding local Councils” said Gilmore. The leaflet also mentions job creating, outside toilets and crime. In this 1997 election Gilmore polled 7,534 votes and held the seat he first won in 1989. In this Democratic Lefts first General Election Gilmore was re-elected polling 7,045 votes and comfortably taking the last seat.